Insulating or re-insulating your home is a big decision. At Alamance Insulation we can help you make the best decisions. We can help you choose the appropriate type of insulation and correct R-values (insulating properties). We offer roll insulation, blown insulation, spray foam insulation and more. Using thermal imaging technology, we can identify those areas of your home that need the most attention. Call today to schedule a free consutlation. Did you know that 1 inch of rainfall on an average sized roof causes almost 2,000 gallons of water to shed from your home? 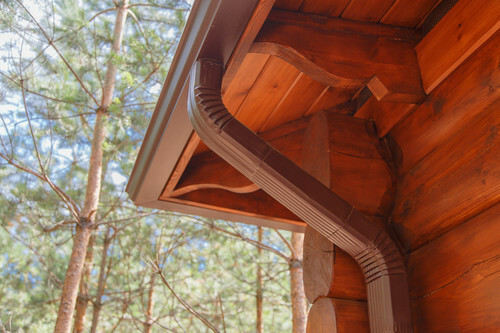 Gutters are an important element of your home’s moisture control. Add to that the snow and ice damage that can result to your existing gutters and you can see the importance of gutter repair and maintenance. Our experts as Alamance Insulation we can help you select the right gutter system for your home. 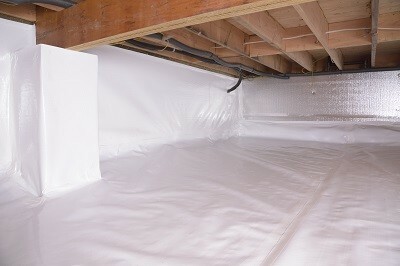 Moisture and Vapor Barriers–These terms essentially refer to the same thing. Moisture barriers and vapor barriers are both building materials designed to prevent water from getting past the barrier. Mostly used in crawlspaces, these and other methods can completely encapsulate these areas allowing you to breathe easier, reduce your energy bills and protect your property from moisture damage and molds. Contact us for more information! We have a division dedicated exclusively to Spray Foam Insulation. Welcome to Alamance Insulation! Before giving us a call, how about a little primer on insulation? 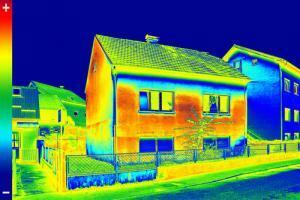 Infrared image shows where your home is losing heat & cooling. The “R-value” of insulation represents the maximum thermal performance of that material. While there is a wide variety of types of insulation, the full R-value is only realized when the materials are properly installed. 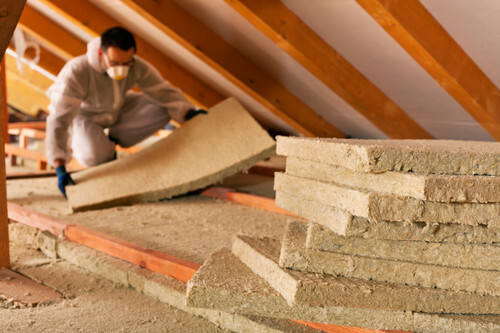 Homeowners can sometimes install some types of insulation themselves. Other types require professional installation. Learn more about types of insulation here: Insulation Types. First, get a cost estimate for the R-value you need, and don’t be surprised if quoted prices for a given R-value installation vary by more than a few factors. We take many different variables into consideration, including sealing air leaks beforehand. One of our estimators may inspect house framing members including wall studs and attic/floor joists if needed to make sure that the correct type and amount of insulation is recommended. If you choose to install the insulation yourself, follow the manufacturer’s instructions and safety precautions carefully and check local building and fire codes. With that said, many manufacturers require that their product be installed by professionals, if for nothing else to preserve the warranties. At Alamance Insulation, top-notch customer service is not our only goal; we also believe in the importance of supporting our community, which we do through our involvement in Habitat for Humanity and our membership with the Alamance Home Builders Association. We believe that a strong company is built on hometown pride and honest, reliable service. We live where we work, so we see all of our clients as our neighbors, which means you can always trust us to do the job right. If you are looking for a locally owned insulation and gutter company in the Triad area, look no further than Alamance Insulation, centrally located in Burlington, NC. We are proud to provide services that not only protect your home from the elements, but that provide energy efficiency for your home and our community as well. We love what we do and we value our customers, which means you can always count on us for reliable and quality insulation and gutter services.